The San Mateo Police Department is asking for your help with identifying a person of interest in a package theft that occurred at the 1500 Block of Lago Street in San Mateo. 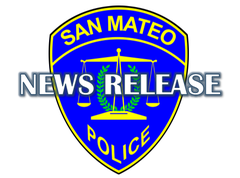 On Sunday, February 24, 2019, at 9:05 P.M., San Mateo Police Department officers were dispatched to a package theft that occurred. According to video surveillance, the suspect had returned to an apartment complex after casing the front doors for packages. 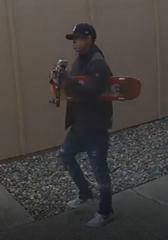 SMPD is actively working this case and we are asking our community’s help to identify the person seen stealing a package. Anyone with information on the identity of the person is asked to contact Officer Nick Franquez at (650) 522-7522 ext. 5134 or email at nfranquez@cityofsanmateo.org.